Updated Monday September 17, 2018 by Admin. 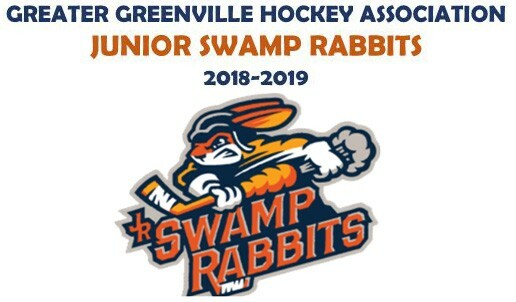 The Greater Greenville Hockey Association's Junior Swamp Rabbits House Hockey Program is a recreational hockey league for youth players through age 14. All age levels are non-checking. Weeknight Practices and Saturday Morning Gamedays are held at the Pavilion. Occassionally some sessions may be held at the Bon Secour Wellness Arena pending ice availability. to community service. GGHA strives, through excellence in coaching, to develop the finest youth players possible. GGHA seeks to provide a fun environment for players of all ages, levels of skill & commitment, with equal opportunity for all. Our goal is to create an atmosphere in which players support and respect one another while never compromising the rules of the game. To encourage and expect our players and parents to respect their opponents, coaches, managers, volunteers, and officials. To exhibit good sportsmanship, discipline, teamwork and fair play. hockey fun for all participants - to ensure that our players not only learn hockey skills but life skills that will help them be model citizens within our community . Hockey is about community. It is a Family. Join GGHA and help us BUILD HOCKEY IN GREENVILLE!